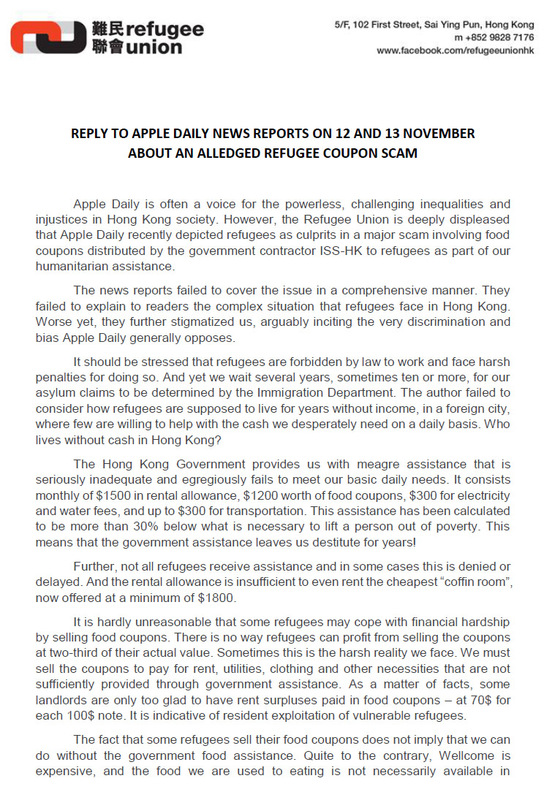 UPDATE: It is understood that reporters from Apple Daily have been talking with the Refugee Union these days and positively engaged the community. 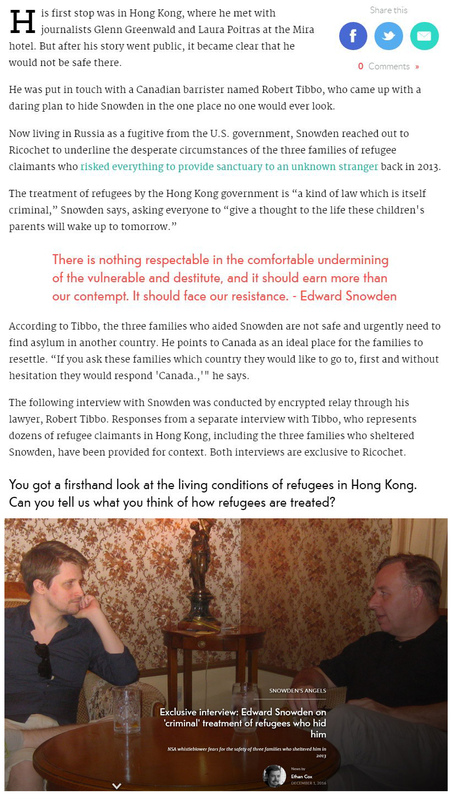 Yet we cannot but argue whether the published articles are an oversight that might result in stereotypes being perpetrated at the expense of refugees who are now facing an even greater dilemma with ISS-HK unreasonably demanding that refugees identify resident “rent guarantors” for new and/or renewed tenancy agreements. 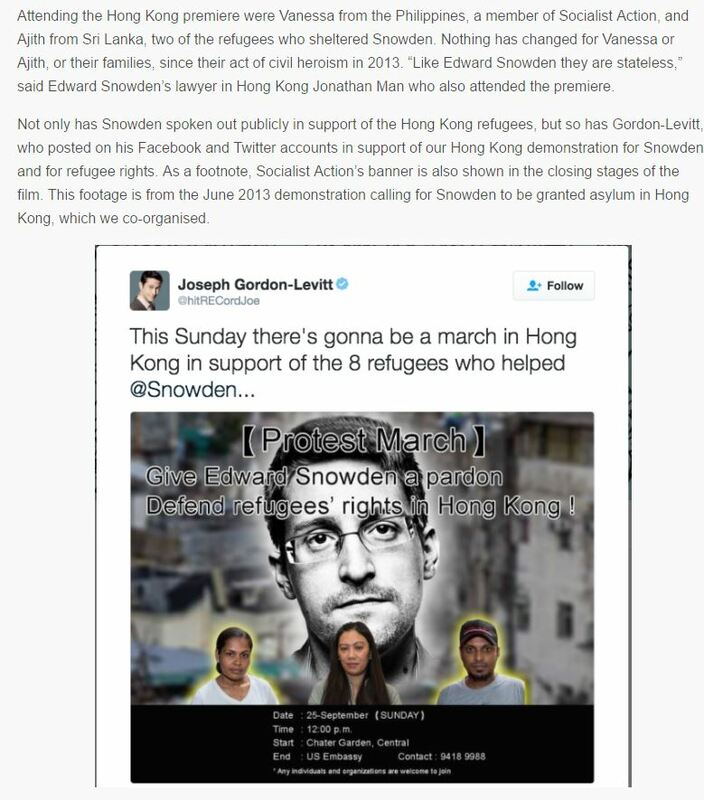 On 21 November 2016 about two hundred refugees staged a remarkable group protest at the Social Welfare Department (SWD) head-office in Wanchai. This protest followed a petition to SWD last week (link), in which the Refugee Union complained about insufficient levels of assistance. Such levels are well-known and haven’t been adjusted since January 2014 when already they ensured that the refugee community subsisted below the poverty line. Since then, inflation has rendered such assistance increasingly unrealistic, and refugees are prohibited from working. 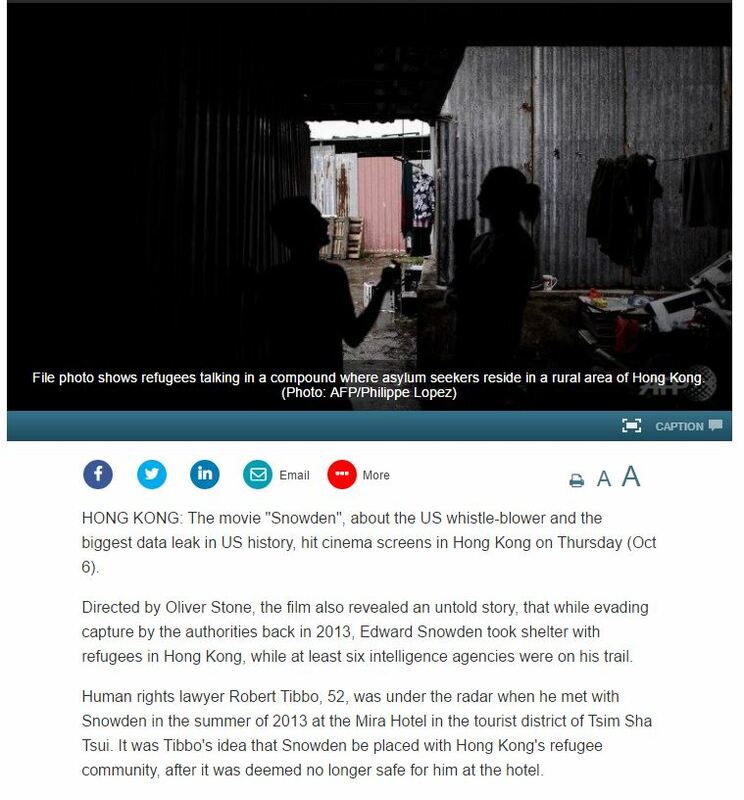 Further, the grim reality that refugees are forced to navigate was recently made harsher by a policy change deployed by ISS-HK, namely, that refugees provide a resident guarantor for the renewal of tenancy agreements. This is an alarmingly punitive policy with a questionable legal basis. It is also a policy that does not have any social basis, as refugees do not necessarily have resident family, or sponsors to share long-term financial burdens. Unfortunately, this policy is making life extremely hard for refugees, who are being cast into the very destitution the government assistance is supposed to prevent. Ibrahim, a leader of the Refugee Union, didn’t receive rental assistance for November because he couldn’t provide the ID card copy of a guarantor. His landlord has already threatened to cut off electricity to his flat. Vision First would like to know who devised this policy change? 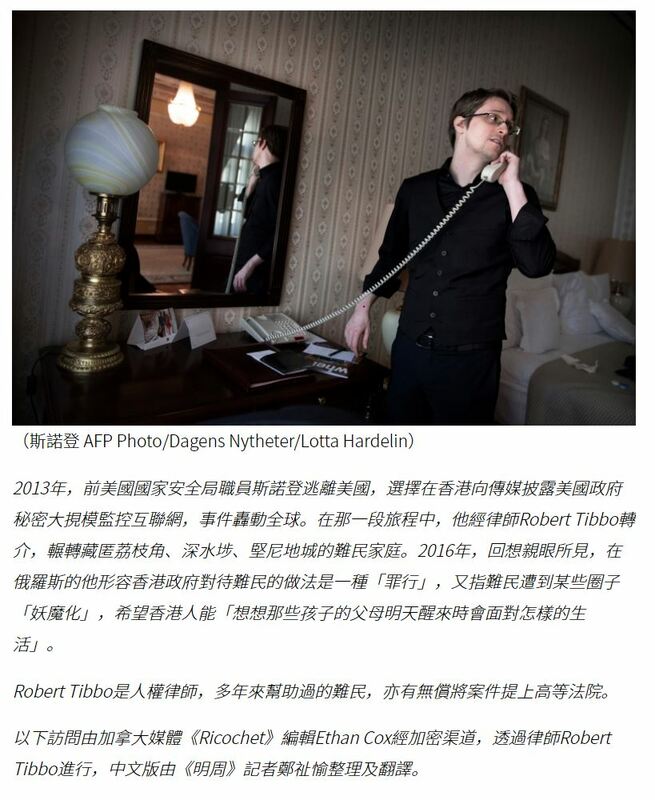 Is it a reaction to high rents for subdivided flats and “coffin rooms” (unaffordable with the 1500$ rent assistance), or has Hong Kong Government lost millions of dollars in security deposits on rooms vacated by refugees who could not afford to pay rent surpluses? Is it yet another trick to force refugees to give up seeking asylum and return home ‘voluntarily’? Or is it a device to force them to work unlawfully, thus filling the labour shortage in the informal economy? And will this poorly advised policy lead to unexpected protests? Today, guarded by about 20 CID police officers, refugees protested peacefully. 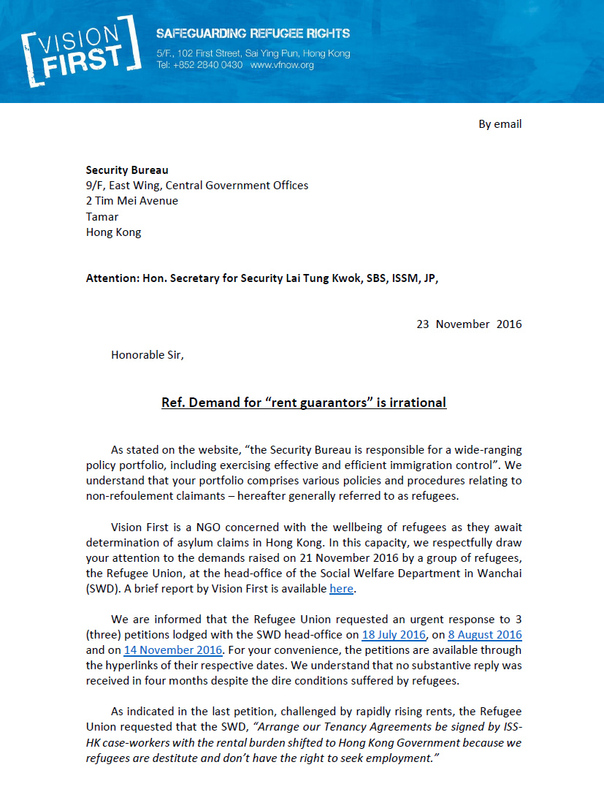 A representative of the SWD was persuaded to hear the grievances expressed by the Refugee Union on behalf of its members. The police capably mediated. 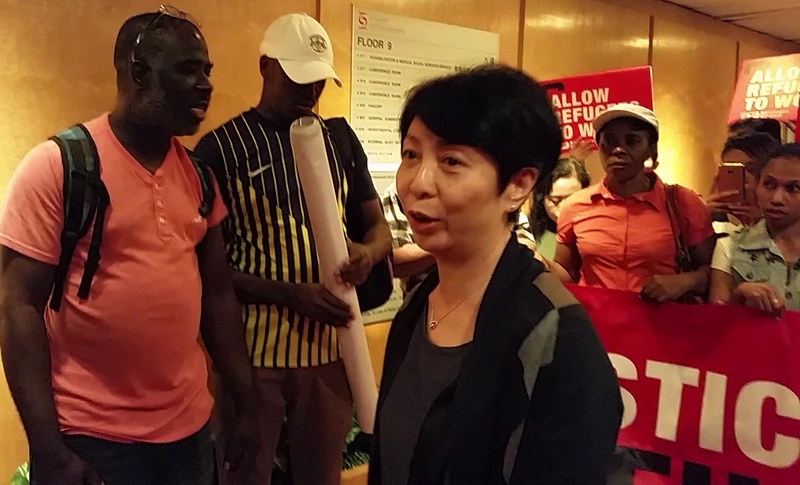 The SWD officer was reminded that a response to the petition was urgently needed because the refugee community is under tremendous pressure, unable to subsist with the current levels of assistance and new demands for rent guarantors. 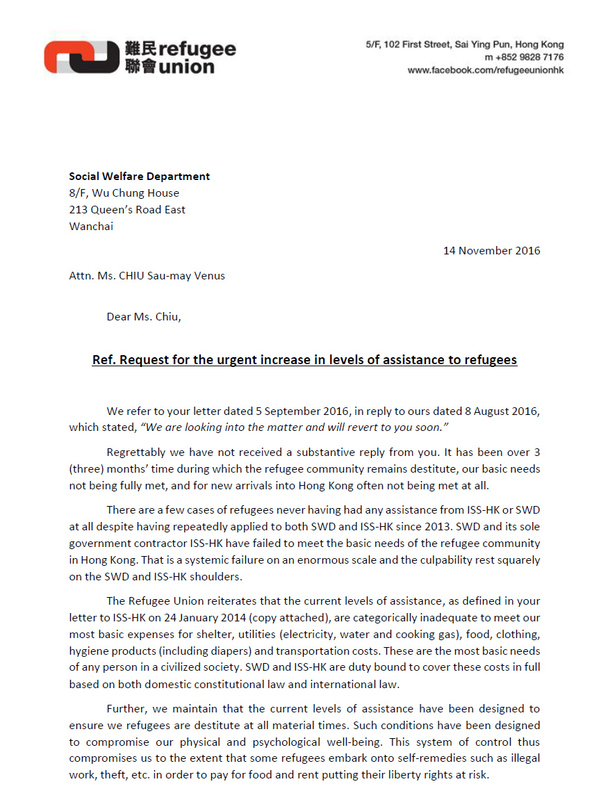 With professional composure, the SWD officer listened to the requests of the Refugee Union and revealingly replied, “We received your letter last week and we will handle it with the Security Bureau. We will give you a reply soon. The Refugee Union’s spokesperson, Peter Maina informed, “ISS is requesting a guarantor and if we don’t provide one, they will not pay our rent. So how are we supposed to pay rent?” The officer assured, “As I mentioned, we will reply to you as soon as possible”. 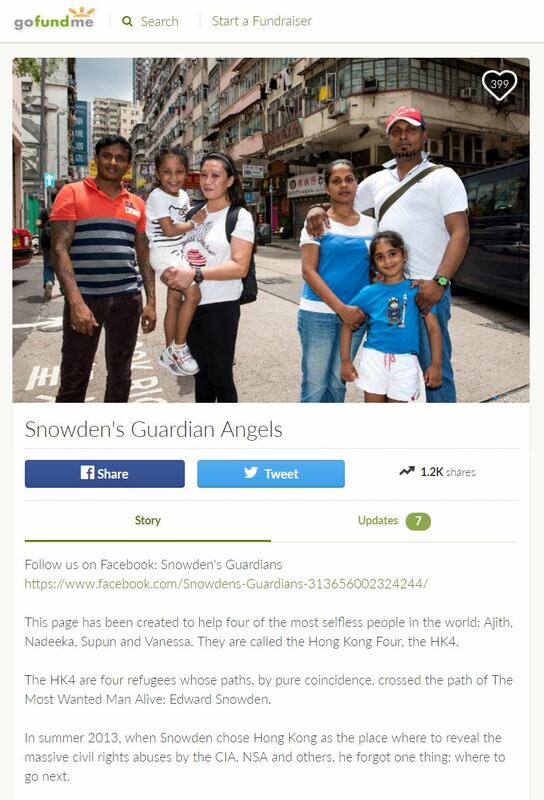 At that point Ibrahim politely interjected, “The issue of the guarantor is very serious. Even for my family ISS did not pay rent this month.” The SWD officer responded, “As I mentioned, we need to handle it with the Security Bureau.” Ibrahim expressed concern, “My situation is very serious because I don’t want to bring my kids to be homeless outside …” The officer assured, “Sure, I understand. 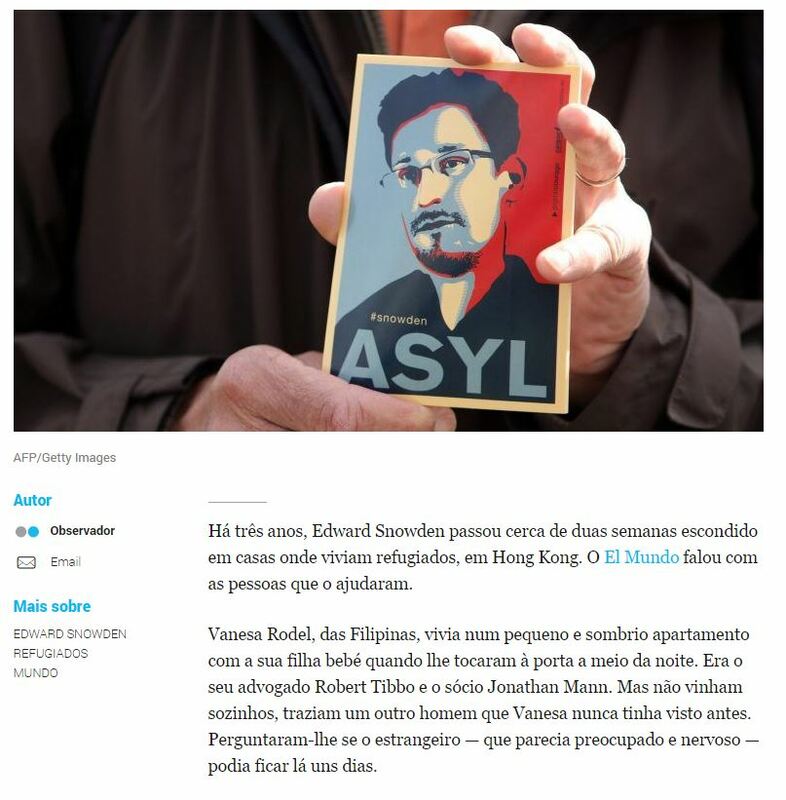 Each case is also serious … thank you, thank you” and she retreated behind the police to her office. This is a situation that any level-minded person, whether resident or not, will find unacceptable.